answer sometimes gets met with some disbelief. “Well, what kind of attorney are you if you can’t answer that question? !” I assure you that trying to explain the intricacies of the Visa Bulletin is not an easy feat. My good friend J Craig Fong, who has over 30 years of experience, has sought to explain the Visa Bulletin on his blog and even he thinks that it is full of mysteries. Perhaps to help explain how the bulletin works, it would be helpful to have a real world example. We filed the paperwork on September 13, 2013 — while the F2A category was still current. 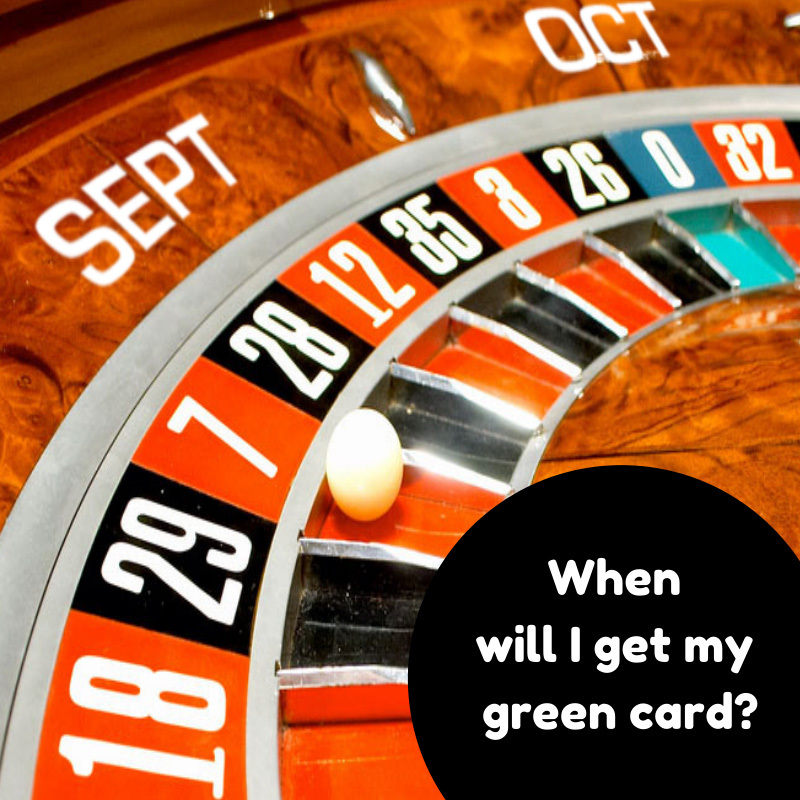 The date that USCIS accepts the petition is known as the “priority date.” I tell clients to think of the priority date as their place in line. That line may get longer or shorter, but the priority date gives you an idea of how far along you are in the line. When the State Department indicates that it is processing cases with priority dates BEFORE the cut-off date listed on the Visa Bulletin, it means that the case can move forward for further processing. If your date is after the cut-off, it means that . . . well, you’re still in the waiting game. When we went to the interview with USCIS, the visa bulletin had not moved from September 8, 2013. So, although the officer reviewed the documents and determined that Tommy and Tomina were in a real marriage (and not a sham, as I’ve warned against in my blog posts regarding immigration marriage fraud and hollywood immigration myths dispelled) the officer could not conclude the case because there were no visas available. Tommy and Tomina needed to wait until the visa bulletin processing dates caught up to September 13, 2013. Several more months have gone by, and the visa bulletin has not moved from September 8, 2013. Until recently. According to the June 2014 Visa Bulletin, the cut-off date has moved . . . backwards to May 2012. More retrogression, unfortunately. What does this mean for Tommy and Tomina? Well, Tomina may still remain in the United States and she may still work. But unfortunately, the wait until her green card arrives in the mail just got longer. How much longer exactly? Like I said before, “well, it depends.” Once sooooooooooooooo close, and now, so far. What about marriage to a U.S. citizen? Immediate relatives, such as spouses and parents, are NOT subject to the mysteries and vagaries of the Visa Bulletin. In other words, they don’t have to fiddle with the priority dates. But they still need to be eligible and prove that it’s a bona fide marriage. If you get caught between the moon and retrogression, remember the best that you can do is fall in love . . . and call me.